There are some things in this world… and not in this world… that leave me baffled. One of these is the Trinity. One Being is actually three persons and He is everywhere, He knows every person, He created the entire world then sent His Son – who is also God – and then sent the Holy Spirit – who is God as well… MIND. BLOWN. But God can’t be paraphrased like that. The nature of God, His personality, all of Him just can’t be explained in one little sentence, or summed up in a few Journey Studies. BUT beauty is found in seeking His face, not thinking we can understand it all. God the Father, show us Yourself, overwhelm us with Your glory! The Tower of Babel, Noah’s Ark, the story of Lot’s wife, the Israelites’ wandering and in the desert, all seem to showcase God’s anger. At times, I have a hard time believing that the angry God in the Old Testament is the same loving God in the New Testament. God’s anger swells with the story of the flood. Only a few hundred years after people even came into existence, and we’re screwing things up already. People were wickedly corrupt. There was death, sin and darkness. And God wiped everything out, leaving only Noah and his family to survive. He displayed His power, His sadness, His anger….and His redemption. When God flooded the earth. He was angry! He was angry that people, His beloved children, were believing the lies that happiness could come from anywhere but Him. He was rightfully angry. The flood visibly proclaimed that Death would not win, redemption would. God saved Noah’s family, who loved Him faithfully. Just as He will save for eternity those who love Him faithfully today. The Flood depicts God the Father’s authority over humanity, our souls, and all creation, and points, not towards anger, but relentless love. In the New Testament, God made a way for that righteous anger to be poured out onto Jesus that we might instead receive the gift of Jesus’ righteousness rather than the consequences for our own sin, which is the rightful wrath of a just God. The wrath and anger of God has been covered by Jesus for anyone who chooses to follow Him. 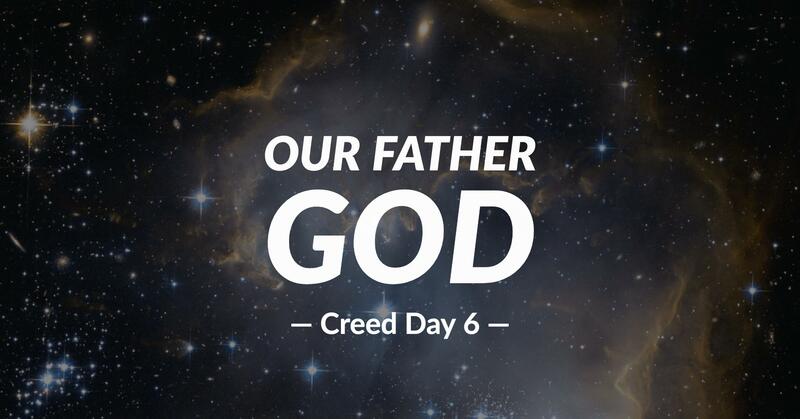 We talk about God being a “Good Father” – what makes God so good? Throughout the whole Bible we see God continuously displaying His goodness. We see His goodness as a display of His protective love, even as His wrath is a display of His jealous love for us. Think about how we would describe a good father. It also states that he teaches his children to appreciate things, spends time with his children, leads them, challenges them, teaches them, and protects them. Those traits that we expect of our fathers are wonderful, but never met perfectly. Our earthly fathers will always fail. which makes it hard for you to see God as a good father. Where man has failed miserably, God has fulfilled perfectly! God is a good, good Father. He is the best Father. What do people mean when they say they fear God? The fear of the Lord can mean two totally different things depending on whether you follow Christ or not. 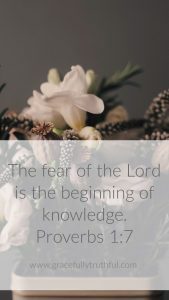 The fear of the Lord for people who don’t know Jesus, is the fear of death, eternal judgement, and hell. The fear of the Lord for those who are Christ followers means reverence and awe at His glory. “Safe?” said Mr Beaver; “don’t you hear what Mrs Beaver tells you? Who said anything about safe? What an incredible image C. S. Lewis is able to give us of the fear of the Lord! He turned a woman into a pillar of salt because she would not set her heart fully on the Lord. He flooded the entire world to prove He was serious about sin. He killed the firstborn son of every Egyptian, in order to save the Israelites from slavery. He can strike down whomever He chooses, whenever He chooses. God the Father is righteously angry and very good. He’s ferocious and mighty and we should live our lives in awe of our mighty Creator who was and is and is to come.